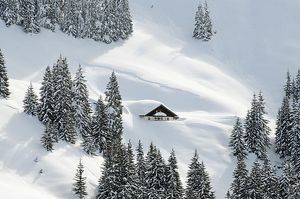 Is it snowing in Kitzbühel ?Thank you! 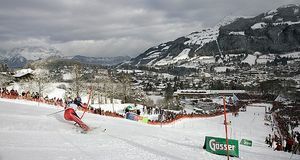 Kitzbühel is famous for having one of the most demanding runs of the FIS downhill calender, the Hahnenkamn. 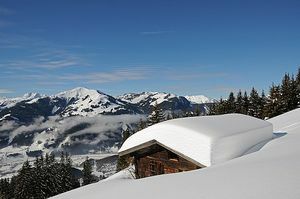 Extensive coverage of snow making now compensates for the lowish altitude (Kitzbühel used to struggle during mild seasons.) 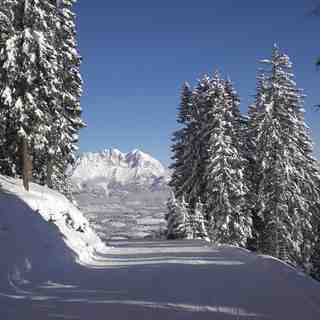 165 km of piste are pitched at the beginner-intermediate but the off-piste and bump skiing is also pretty good. 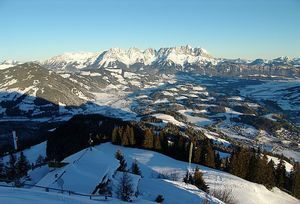 Considerable investment in new lifts, at Kitzbühel, has reduced problems with queues. 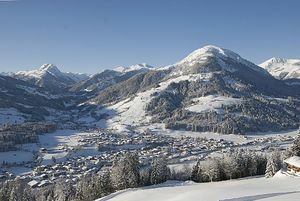 Off the piste, Kitzbühel is attractive and large enough to provide plenty of interesting diversions for non-skiers. 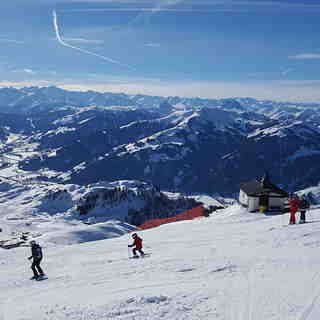 A good choice of hotels, bars and restaurants makes for a great apres-ski environment at Kitzbühel. I came to skiing quite late in life and although have really enjoyed some challenging red runs in other resorts I usually need a good half a day of cruisey blues on good snow to get my ski legs on and more importantly confidence up. And here just hasn’t offered that opportunity. It’s a great resort, but I’d say due to multi-hill terrain it’s a bit stop-start; short run here, lift, short run there, switchback here, and so on. It’s clear the world famous downhill has an impact, with people flying down busy (today slushy) pistes like demons trying to emulate the pros. And the run classifications... it’s like someone has decided each hill needs at least one blue, a red and a black run to show some variety. But in truth there’s sometimes v little between some blues and blacks. Off the mountain I have had a lovely time. Friendly people about the place, good restaurants and social side. In summary: if you fancy a challenge, then you’ll love the slushy runs, aside precipitous mountain drops, while weaving in between others of a similar mindset. If you’re looking for somewhere to build your confidence and put some cruisey miles in: avoid.